Captain Mike Douin has been fishing since he could walk. 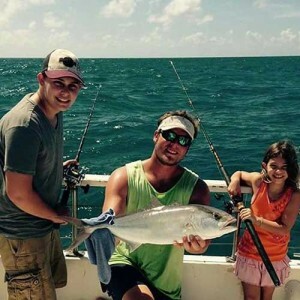 From the fresh water of the Mississippi River and surrounding lakes or the saltwater of the Florida Keys, he has many years of fishing experience. Mike has a passion for catching anything that swims and gets just as much excitement putting others on fish. Native to Chatham, Illinois, Captain Mike now calls Cudjoe Key, Florida home. He operates with a U.S.C.G. 50 ton Master Captains License.